A logo is a graphic or symbol that is used to represent an organization, business, product, or a website. Logos are important because they help people recognize your products. However, creating a logo is not always easy. In most cases, people pay or use sophisticated third party software to create a logo. The reality is that you can conveniently create a professional logo in minutes by using Microsoft Word. 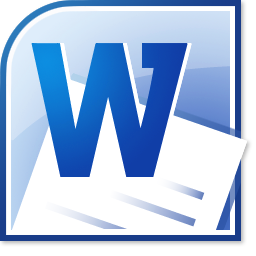 WordArt is a feature in Microsoft Word that allows you to create special characters. This is the main tool you’ll need to create your own logo. Go to the top of the screen, click “Insert,” and select “WordArt” from the “Text” section This will display a list of themes. Select the theme or style that matches your website. Write the title or domain name of your website. For example, an ideal title for this website would be “Techddictive.” It is usually best to create a logo that matches your website. Click the “Format” tab under “Drawing Tools.” In the “Shape Styles” section, click the arrow, and select a visual style of your preference. Click “Other Theme Fills” to access more visual styles. To edit the shape or form of the logo, click the “Edit Shape” icon from. You can add other special features to your logo by clicking “Special Effects.” This allows you to add glow, soft edges, shadows, and reflections. Now that you have created your logo, you need to save the image to your computer. To do this, you can use the Snipping Tool. With the Snipping Tool, you can take a screenshot of your logo and save it to your computer. It is also best to save the document with the logo, so that you will be able to edit it later.